Discuss the FN bolt action rifle lineup; the Patrol Bolt Rifle (PBR), Special Police Rifle (SPR), Tactical Sport Rifle (TSR), and Ballista. So update on the 27 grain bullet problem. 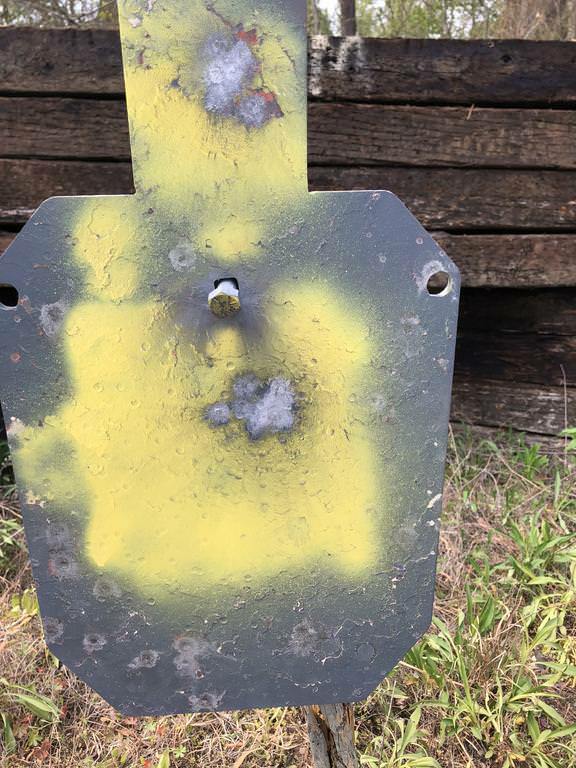 Turns out it might have been a range problem(my range looks like a jungle at the moment), there were a few blades of tall grass in front of my target and I believe the bullet was hitting those and starting to tumble. I could be wrong but a fast moving small bullet can be affected by stuff like that. I say that because if I moved higher on the target away from grass, the keyholes stopped. The 36 grain loads did produce a 1in group this weekend so I believe the gun is as good as it is going to get for what it is. 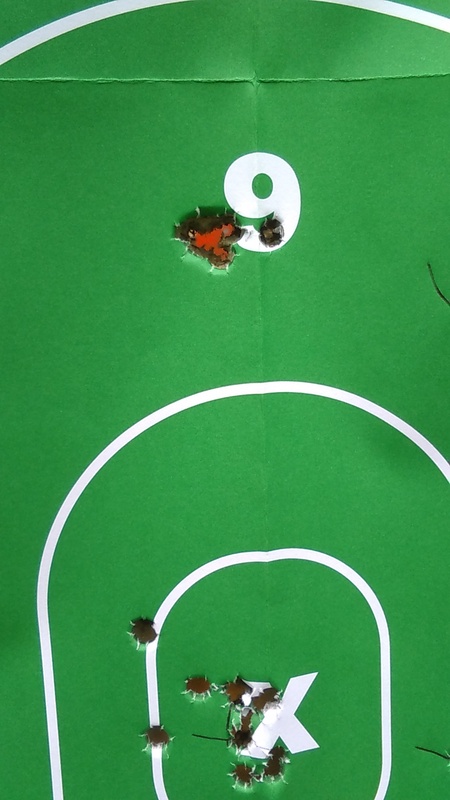 Buddies gun built a little different but same basic setup was getting .75 groups with american eagle ammo(40grain). My handloads might need some adjusting or tweaking still. What was the total cost of this project? Well if I had to pin a number to it lets see if I can add it up. I am just a simple Arkansas man so will take my shoes off real quick. Magazine(yeah you read correct, it is not a bobsled gun, it actually holds ammo and feeds them =-0) Trade for an Timney Arisaka 7.7 trigger so basically free but market value 85 bucks give or take. Total= 1425..... so not much different than a ps90 and ten times as cool to shoot and look at than a ps90 any day of the week. 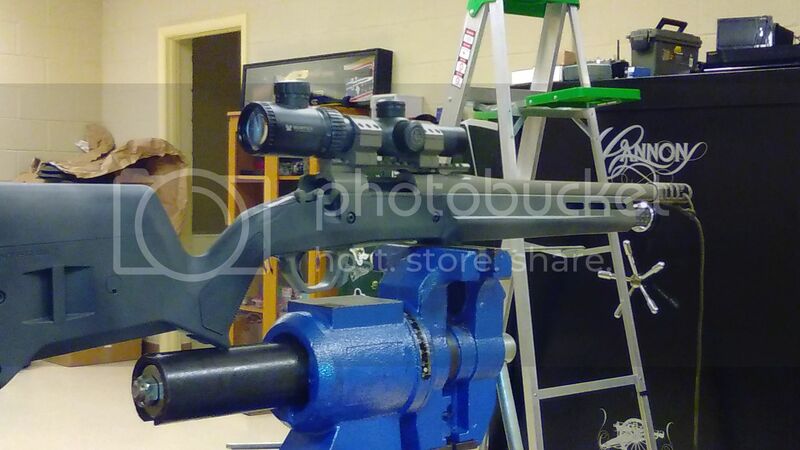 Unless you count the money I recoup from selling the old parts, brand new 243 barrel, bolt body, bdl stock and x mark trigger, had cheap 3-9x30 simmons scope and rings so maybe 150 bucks resale value for all on a good day? If I could figure out how to post a picture you would see a few of it. Last edited by Rapier1772 on 31 Aug 2016, 21:48, edited 1 time in total. Thanks, hope to get it dialed in really tight soon. Will keep updates coming in as well with handloads, I should be able to get pretty fast. I had help from a buddy to build a custom follower on a mill from aluminum. The magazine we used was a standard AI style mag with removable insert. I believe I got it from Midway. As far as the insert that is just a shoot from the hip and see what works with your rifle. It might take a couple of tries. Last edited by roostercogburn on 16 Jul 2017, 13:37, edited 1 time in total. What do you think the interest level would be for a mag insert that would let folks be able to have a repeater Rem700 action built 5.7? Just gauging interest before I jump off a cliff with this thing. I know a million different factors come into play but just out of curiosity for me really. No damn clue. But if you think you hear .223 is better than the 5.7 it will only get louder. I just read a review of a Howa bolt action, but it was a short action. 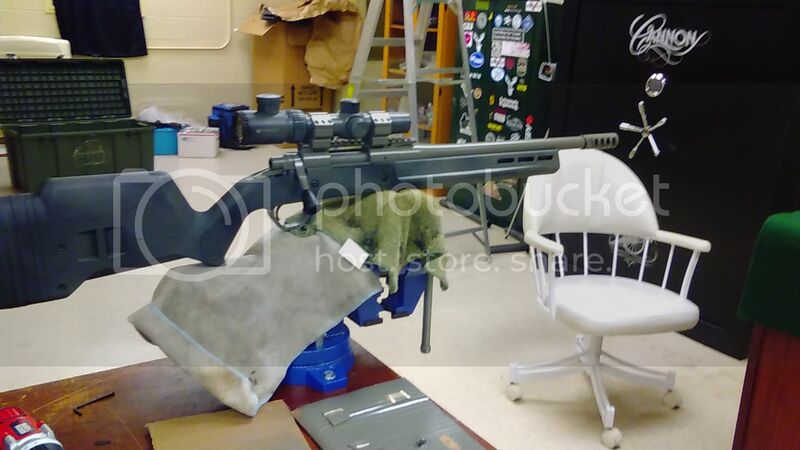 Howa, its a Mauser action, has a 1500 series short action rifle. It comes in .223 which could be re chambered, they also have detachable magazine kits for the 1500. Since the Rem is nothing more than a Mauser clone, Howa's are manufactured better in my opinion and cheaper. So it might be a better jumping off point. I'll take one if available. "Let us never forget that good intelligence saves American lives and protects our freedom." So I guess I should have been more specific. The starting magazine is one that would ideally fit any rifle that has aftermarket bottom metal that will accept an AI style magazine. The adapter in its current state only fits one type of magazine but could probably be adjusted for multiple brands. There are tons of manufactures that make those bottom metals and having some inlet work done on the stock is pretty common practice these days. 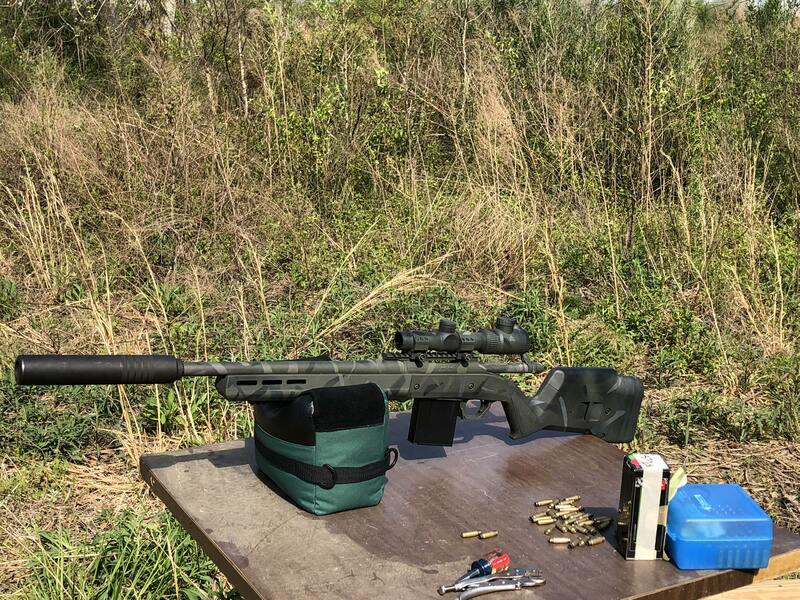 I have a Howa 1500 in 308 that shoots .338 groups consistently so they are really close to Rem quality that I agree. Short action would be the only requirement I think to make it work. 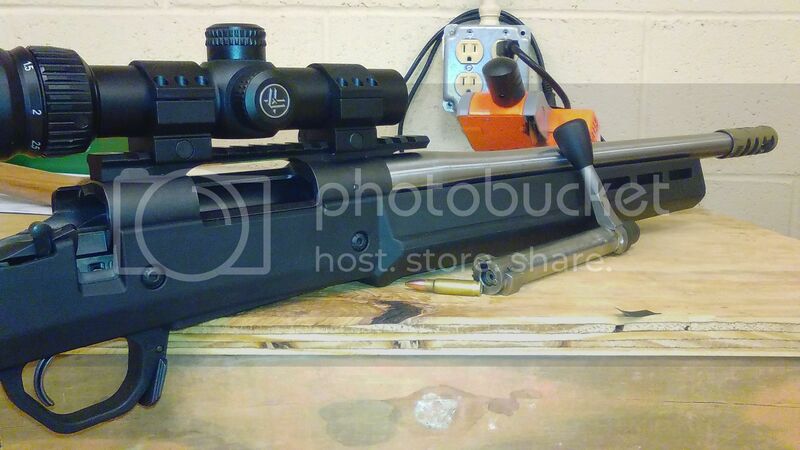 Got a buddy who has one (5.7) built on a model 7 SA and mine is built on a 700SA and they both work good in my opinion. Just ideas in my head I suppose for now. Last edited by roostercogburn on 25 Jul 2017, 11:28, edited 1 time in total. 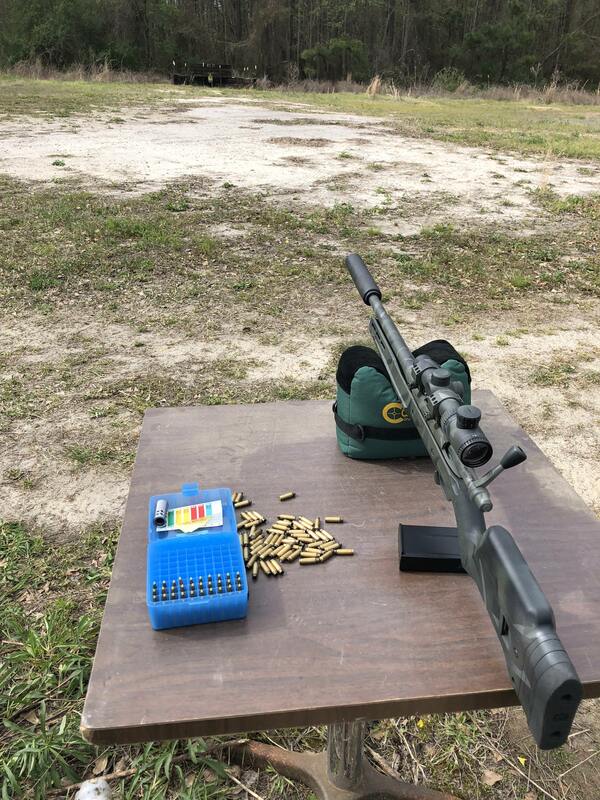 60 yard groups with can. same poa/poi as uncanned. wish I could post a video for everyone to see it cycle. Thanks, it continues to impress me evertime I shoot it. Found a good load and can't seem to crank them out fast enough to cover a shooting session.